United Plastic Products Company officially launches its new customer-oriented web site. UPPC, also known as Napco United, is located in Jeddah, Saudi Arabia, and serves the European and the Middle Eastern and African (MENA) markets. It manufactures polyethylene (PE) products for various sectors. Napco United web site, is now up and running with information to help customers weigh their choices and make informative decisions about plastic films for the tissue and hygiene, powder detergent, industrial, and chemical and petrochemical sectors. The new web site contains user-friendly information about the sectors it serves and the products it manufactures, as well as the company and its business philosophy. Customers can request quotes and samples of products online. Napco United manufactures PE backsheet film, PE handle bags, and wicketed bags for the tissue and hygiene sector. It also produces PE laminated film and mono-layer PE film for the powder detergent sector. Additionally, it manufactures PE overwrap, shrink film wrap and shrink hood bags for the industrial sector, as well as form-fill-seal film (FFS) for the chemical and petrochemical sectors. INDEVCO Flexible Packaging's Polymer Application Center for Technology (PACT) in Lebanon improves and adapts materials to INDEVCO member needs, global trends and market demand. PACT, established in 2005, deals with polymer technology (plastics in particular) and blending for required properties. PACT researches plastic characteristics and conducts tests to manipulate polyethylene plastic in order to meet different packaging requirements. PACT’s objective is to help INDEVCO Flexible Packaging plants maintain leadership positions in the Middle Eastern plastic industry. The center enables INDEVCO member companies to provide improved material quality to international standards and adapt to customer needs. This R&D center works exclusively for and with INDEVCO member companies to address specific needs and meet stringent customer/product requirements for packaging operations. It offers customers a value proposition, that is improved continuously. PACT’s mission is to translate rheology and polymer science into a language that can be understood and implemented in technical applications and product development operations. It integrates scientific applications with existing technical expertise. PACT laboratories are currently focused on raw material characterization for extrusion coating and blown film extrusion, with particular attention to SABIC and other regionally available resins. The center is currently investigating rheology and filler dispersion related to the preparation of masterbatches. PACT integrates scientific knowledge and expertise in polymer technology from its network of universities, consultants, compounding plants and research labs. PACT’s full-time highly-skilled specialists are connected to numerous European research centers and scholars from different European and American universities. Together they serve as advisors to the INDEVCO Flexible Packaging Division President and for chosen research projects. This spring, PACT laboratories in Lebanon installed two new rheology machines to support research activity in the field of polymer engineering. Rheology, a science that studies flow of materials, uses procedures, observations, tests, and analyses to determine how stress or force applied affects materials. INDEVCO is the only packaging group in the Middle East to have this equipment for the rheological characterization of polymer melts and solids. PACT determines the behavior of any material when packaged, as well as verifies film composition. Its aim is to further understand material behavior, in order to tailor properties according to needs and to improve product performance. PACT’s long-run vision is to constantly keep abreast of development worldwide in the packaging field to improve IFP product quality and address pressing global needs. INDEVCO Flexible Packaging is a division of INDEVCO Group, the 'Local Multinational of the Middle East'. INDEVCO Insurance Unit conducts regular life safety audits on INDEVCO factories in Lebanon, Saudi Arabia, and Egypt in compliance with the National Fire Protection Association (NFPA) codes. In June 2010, INDEVCO Insurance Unit launched a revised Safety Procedures & Prevention Manual to ensure that all INDEVCO workplaces implement preventive measures for a safe working environment. A service department of INDEVCO Group in Ajaltoun, Lebanon, the unit audits adherence to safety procedures and audits. It also manages insurance needs for the manufacturing plants and companies in the multinational manufacturing group located in the Middle East & North Africa (MENA) region and Europe. NFPA is an international non-profit association established in 1896 that advocates fire prevention and public safety. It publishes and distributes standards and codes for fire and hazard prevention and safety procedures to be undertaken to reduce effects of these risks. The safety manual defines codes and covers training requirements, hazard prevention measures, and steps to be taken in emergency cases. It addresses internal and external general storage practices and storage of flammable materials, corrosives and liquid petroleum gas, as well as safety measures to be taken for visitors. Furthermore, it explains housekeeping – cleaning steps to avoid danger. The final part of the manual tackles active protection tools, such as portable fire extinguishers, fire hose systems, automatic sprinkler systems, and fire pump assemblies. It also mentions the importance of water reserves for fire-fighting, gaseous automatic suppression systems, and fire alarm systems. INDEVCO Insurance Unit performed life safety audits on all Napco manufacturing plants in Saudi Arabia, most recently in May 2010. These audits covered all types of hazards, including fire, building and electrical safety, and other hazards. “Improvements were noticeable at Napco plants in Saudi Arabia. The life safety index ratings for each manufacturing plant decreased from that of the previous audit conducted in November 2009." In the recent audit of May 2010, Napco plants demonstrated a safer working environment with all hazard areas moving towards moderate to low danger. A final audit will be undertaken before the end of 2010. In line with the growing need for plastic that degrades more rapidly, Uniplast has commenced production of blown polyethylene film using Oxo-Biodegradable additives. Napco Packaging Systems Co. Ltd., known as Uniplast, is testing Oxo-Biodegradable additives that can speed up plastic degradation under the right environmental conditions. Located in Jeddah, Saudi Arabia, the PE manufacturer produces manual stretch film, machine stretch film, protective pallet covers, PE trash bags, PE food storage bags, and disposable table covers. Uniplast continually searches for ways to make its plastics products more sustainable. Trials were conducted using Symphony Environmental's d2w™ grade 93389, which is based on a polyethylene carrier and contains a catalytic additive, a small concentration of metal salts, which speeds up the natural degradation process. Instead of taking hundreds of years the plastic will break down into water, carbon dioxide, and biomass in a few years or less. OBD additives used by Uniplast break down the molecular structure of plastic, at the end of its lifecycle, into material that is no longer plastic and can be bio-assimilated by organisms in the environment. Uniplast uses FDA approved additives, which can come into contact with food products without having any harmful side effects. The testing process involves placing two samples under the same environmental conditions, one sample containing the OBD additive and the other not (the control). Uniplast uses two methods to stimulate the environmental conditions: oven aging tests to speed up the aging process of the plastic, as well as UV weathering to expose the samples to years of UV radiation in a matter of days. These tests show what would happen to the plastic after years of deterioration. Results from the carbonyl index data, which measures the level of oxidation, show a clear difference in the degradation behavior of the control sample versus that containing the OBD additive. In fact, Uniplast’s PE film containing OBD generated approximately 10 times higher carbonyl index than the control, which validates that OBD PE plastic film degrades at a faster pace than the original PE plastic film. By using small quantities of the OBD additive, Uniplast aims to control when degradation begins, depending on the product end-use. The challenge is to create an OBD PE film that degrades under certain environmental conditions without the degradation process beginning too early in the product life-cycle. 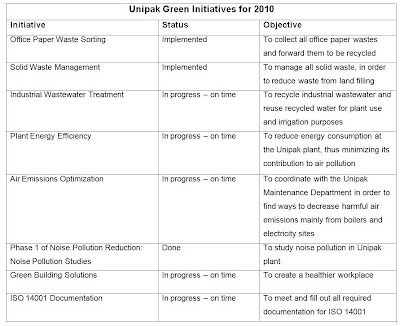 “We acknowledge the environmental jeopardy the world faces today and its effects on our daily life, thus we strive to continuously dedicate all our capacity and aptitude to preserving a healthier all-green environment. Uniplast is a Napco company and a member of INDEVCO Flexible Packaging, a division of INDEVCO Group, the 'Local Multinational of the Middle East'. Adjacent to Wissam Moubarak's post as Area General Manager of MASTERPAK Complex, his scope of responsibility has extended to include Napco Composite Packaging Technology (COMPACT) and Napco Modern Plastic Products Company - Technical Division in Dammam, Saudi Arabia as of 5 August 2010. Wissam joined INDEVCO Group in 1991, serving in various positions at Sanita, Unipak and INDEVCO sal. In 2004, Wissam became Deputy General Manager of MASERPAK and in 2005 General Manager. He was further promoted in August 2009 to the position of Area General Manager of MASTERPAK Complex in Zouk Mosbeh, Lebanon. Over the last five years, Wissam and his team have been instrumental in putting in place key operational initiatives and best practices while growing MASTERPAK's sales and profitability. Wissam's commitment to INDEVCO philosophy and core values, as well as his ability to consistently deliver results, are exemplary. Throughout his career at INDEVCO, Wissam has demonstrated solid leadership, effective and systematic style with a focus on people development. Under his leadership MASTERPAK delivered solid results, while growing a strong and motivated management team. Please join us in wishing Wissam continuous success. Interstate Resources has published a series of PDF files about the U.S. corrugated manufacturing group's sustainability efforts. For years, corrugated box and paper customers required competitive pricing and customized service. However, more and more, today’s customers demand price, service…plus social responsibility and sustainability practices from their business to business partners. 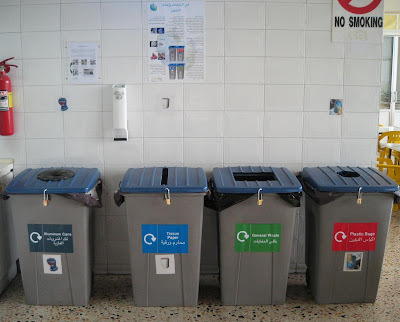 Environmental stewardship is a necessary and expected part of everyday business. Today, United Corrstack integrates many environmental sustainability practices into its day-to-day workflow, resulting in extensive natural resource protection. Just this one location saves 6,000 acres of trees a year. Their corrugating medium is 100% recycled materials (98% post consumer and 2% pre consumer). United Corrstack is Sustainable Forestry Initiative (SFI) certified, providing another business advantage to its corrugated box customers. The SFI logo identifies environmentally responsible products, with third-party corroboration and separates their services from competitors without environmental verification. When purchasing SFI products, the customer is assured their products are produced with eco-friendly materials and practices. Evergreen Community Power provides the paper mill with sustainable energy independence, impacting all aspects of the operation. United Corrstack receives clean electric and steam from renewable sources United Corrstack… Green Mill with a Vision generated by their nearby power plant compared to other paper mills using fossil fuel and purchasing electric from a large fossil fuel utility. By exploiting synergies between multiple Interstate Resources business units, there are seamless, green, closed loop sustainable energy and recycling systems in place. Customers can positively impact their own carbon footprint, the environment and society by choosing to do business with United Corrstack. 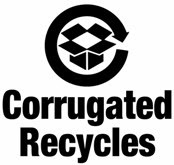 United Corrstack produces recycled corrugating medium from 23# to 33# with their 166" paper machine. Customer service and reliability include available Just-in-Time inventory. United Corrstack LLC is a member of Interstate Resources, Inc., a member of INDEVCO Group, the 'Local Multinational of the Middle East'. INDEVCO Paper Containers’ (IPC) companies capitalize on the advantages gained through pre-print process. Since 2007, corrugated packaging manufacturer, Easternpak, has mastered the flexo pre-print process. Easternpak installed two printers to serve all INDEVCO Paper Containers (IPC) affiliates: Unipak in Halat, Lebanon; Unipak Nile in 6th October City, Egypt; and Easternpak in Dammam, Saudi Arabia. Pre-print is an advanced flexographic web-to-web printing technology that pushes printing capabilities beyond prior barriers, thus providing an edge over normal flexographic printing. 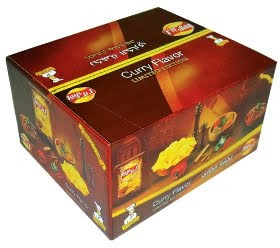 With flexo pre-print process provided by INDEVCO Paper Containers, retail manufacturers of shelf-products benefit from the aesthetic appearance of near offset printing quality, highly-precise printing of fine details, edges, and barcodes, as well as considerable price advantages when compared to offset printing. They further profit from higher service level and fast delivery due to IPC members’ ability to pre-print large formats and high graphics using water-based inks at high speeds. Pre-print uses a new generation of polymer plates, processed on advanced computer-to-plate technology, which produces an ultra-fine printing of up to 120 lines/inch, and larger formats in single runs (up to 2500 mm in width). Furthermore, it uses a central impression cylinder with six printing sections and a coating unit. Easternpak has been recognized for its pre-print quality. At the June 2010 DuPont Grand Prix Cyrel® competition, DuPont awarded Easternpak 3rd Place in the “Corrugated Pre-print E Flute and Finer” category, for its excellence in flexography. Repro Center, a division of Unipak, corrugated manufacturing plant in Lebanon, handles all pre-press for IPC affiliates. Pre-press involves the steps taken before pre-printing, which consist of graphic file adaptation, retouching, color separation, proofing, and printing plate making . 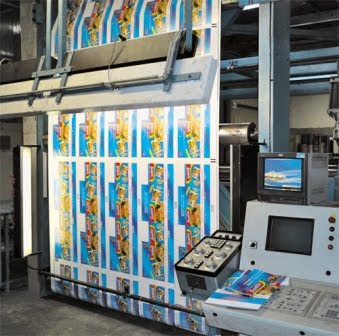 It also received the 3rd Place in “Corrugated Pre-print E Flute and Finer”, for the pre-press services it provided and the digital flexo printing plates it produced for sister-company Easternpak. “The 3rd place prize in the 2010 DuPont Grand Prix Cyrel® competition is the end result of all the efforts we invested in reaching high level flexographic printing. Our efforts started when we established the Repro Center in 1994. It is furnished with the most up-to-date technology available in the market, keeping up with the latest technological advances. These efforts continued with the web printing “pre-print” concept in 1999. In 2007, we installed two printers in Easternpak, becoming the most advanced pre-print center in the corrugated industry of the Middle East. Easternpak, Unipak, and Unipak Nile are members of INDEVCO Group, the 'Local Multinational of the Middle East’. INDEVCO’s dedication to high quality must be reflected in the choice of training providers. Previously known as the Training Department, INDEVCO Learning & Development Department was established in 1980. In line with INDEVCO Group’s people centered corporate mission, the Leaning & Development Department constantly maintains a higher standard of people power. INDEVCO L&D Department is one of the Organization Effectiveness (OE) Service Unit's seven sub-units. INDEVCO OE’s purpose is to support business unit enabling initiatives in Human Resources, Learning & Development, Quality Management and Best Practices. These initiatives allow businesses to achieve aggressive business targets and continuously grow. OE serves all INDEVCO affiliates in Lebanon, Egypt and Saudi Arabia. INDEVCO L&D begins by analyzing the identified training needs, evaluating internal and external training providers, planning and executing training workshops, and finally assessing both providers and workshops. The search for training providers is ongoing given constantly evolving trends. INDEVCO L&D searches for providers locally, regionally, and internationally, as well as within INDEVCO employees with specific skills. The search process involves numerous steps, beginning with a preliminary assessment of potential providers. After meeting the provider, L&D evaluates strengths and weaknesses. If the training provider passes the first evaluation, the L&D team requests that the trainer provide a summary of the workshop to demonstrate knowledge and experience. Furthermore, the L&D team either appoints an assessor to attend one of the provider’s public workshops or requests for a trial workshop to be performed in L&D Department offices. The purpose is to ensure that the right people are assigned to attend the appropriate workshops. A provider passes through a trial period until three successful workshops are completed. An important duty of the department is to create and execute a plan to align the organizations needs with the appropriate training workshops. “Learning and Development and People Development units work hand in hand, constantly developing and advancing our human capital to facilitate business growth in-line with INDEVCO Group’s strategy and vision. During the identification process, we use professional feedback tools to find development needs at three levels: The organizational /group level, business unit/team level, and individual level. It further consolidates the needs of all the business units into five geographic areas, which provides flexibility to run in-house workshops and customize them according to operating schedules. The L&D Department monitors and evaluates workshop delivery according to a set benchmark, and provides quick feedback on areas that can be improved. It realizes that primitive methods of training, teacher-student, are no longer effective. Thus, it strives to participate in interactive workshops, where participants can contribute. The department has developed synergy with all INDEVCO divisions in order to foster information sharing and ensure best practices.